An often overlooked key to being successful in bodybuilding is not consuming enough calories throughout the day to support the strengthening and growth of your muscles. There are a number of key nutrients, vitamins and other minerals that you need that will help you have the necessary protein. One approach is to take your bodyweight and multiply it by about 10 and then add 1,000 to 1,500 calories and you will have a good estimate of how much you should consume each day. 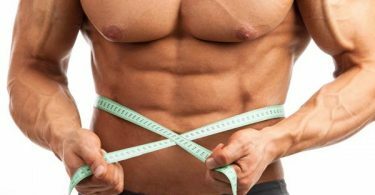 There are several ways people will do this, including several small meals that you eat every half hour so that you are putting your body in an anabolic state. Carbohydrates are like the fuel that you put in your gas tank to help your engine run. You need the energy provided by consumed carbs, which will actually help increase the levels of glycogen in the body, so that protein is available to help improve your muscles instead of being used for energy. The more carbs you have in your body, the higher the chance your body can be developed in that anabolic state and help produce more insulin to help maintain that state of the body. The concept of having to have protein in your diet is not necessarily a secret with many experts talking about the benefits of protein and it’s amino acids that are used to build muscle mass – think of the proteins like the building blocks at the toy store. Without the pieces, you can’t build your physical fortress. But what some people have a hard time figuring out is the proper amount of protein you should have in your daily diet. It’s all based on consuming one gram of protein for each pound of body weight – for example, a bodybuilder starting at 200 pounds will need to consume at least 200 grams of protein each day. Let’s say your diet to build muscle mass requires about 4,000 calories each day, so way of accomplishing this is to eat about six meals a day – with about two hours in between. That might seem like a lot, but if you do the math by division you would be eating about 660 calories in each meal. This would require eating smaller meals often and that requires a certain amount of discipline to accomplish. Because eating meals produce insulin to maintain healthy glucose levels – breaking up the meals into smaller portions will actually make that job easier for your body. It might sound like a contradiction to consider fats to be good for you, but they are there if you want to add muscle mass to your frame. In fact, positive fats are one of the most important things you can consume to help provide support for your muscles. Additionally, the food fats actually provide a bridge between fat and testosterone levels in the body. When weightlifters try to eat less calories, they are actually limiting the amount of fat and calorie consumption to be prepared for going on stage in a show. But it actually hinders their muscle growth and maintenance. One of the best things you can do for your body is to eat a meal that includes carbs that will burn slow in your system – like pasta or rice. Those carbs will actually need more to become glucose and holding the blood sugar levels in the body at a consistent rate. Your body will not run out of energy and you will be able to have a longer and more productive training session at the gym. Just remember to maximize your muscle gains by having plenty of protein along with those carbs. After finishing your workout, now is the best time to consume more protein and some faster acting carbs – which you can gain from a protein shake that as some type of sugar to deliver those proteins through the bloodstream and into the muscle fibers you just worked on. These will help repair your body with the necessary nutrients. After a grueling workout, you want to have the necessary proteins and carbs to rebuild what you just tore down – and by doing so will actually be when you make the most of your gains. A good rule of thumb is to have a protein shake that includes around 40 grams of protein and about 75-80 grams of carbs. It’s the most important step, but can often be forgotten very easily. But you should make sure you are drinking plenty of water – not energy drinks, beer, milk or juice – so that your body can be properly hydrated. It would make sense because the body is essentially 70 percent water and not having the proper hydration can negatively affect your muscles. Many experts recommend drinking three ounces for every pound of body weight, which seems daunting but will be well worth the effort if you spread the water consumption throughout the day. Different supplements will actually be worth the money they cost if you can afford them. While protein powder is important for those post workout shakes, but you should also look into getting creatine and glutamine products while also finding formulas designed for your joints that are vital to maintain with all of this extra mass you are building. You should also look into taking a multi-vitamin for the added nutrients, minerals and vitamins you might not always get in a regular bodybuilding-focused diet. If you can’t get a good night’s sleep, then you can’t help rebuild and repair your muscle fibers to become stronger and larger than before. It’s such a key factor but just like staying hydrated, it can be often forgotten in the midst of everything else you are trying to accomplish. Simply make sure you plan for at least eight hours of sleep to help build what you broke down in the gym. Your body will thank you later. How to Build Muscles for Women?